Simpson’s Eggs is not only a family owned and operated farm passed from generation to generation, but many of our employees are families as well. 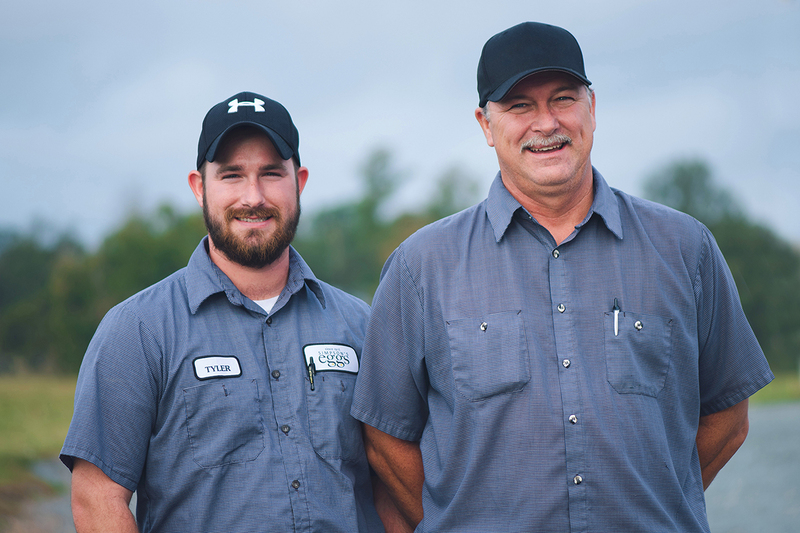 The employees featured in our spotlight are Ernest, Scott and Tyler Medlin. Scott Medlin started working at Simpson’s Eggs in February 1983 at the age of sixteen. His Father joined the following year and retired in 2008. He played a vital role in maintaining the efficiency of the farm, and served as Farm Manager for many years. We lost Ernest in 2009 to leukemia, and he is greatly missed. Scott followed in his father’s footsteps becoming Farm Manager, and is still filling that role today. His son, Tyler, came aboard in February 2008. He came on as ground maintenance , and now is our Production Manager. We at Simpson’s Eggs takes pride in our business, and even more in our employees. The three generation of Medlin men have been loyal, dependable, and hard working. Simpson’s Eggs will forever be thankful for the roles they have played over the years, and are still filling today.